Experiencing great personal loss in his early life and battling with addiction throughout his career, John William Coltrane was a musician of immense consequence. With an exploratory approach and a real commitment to jazz innovation, he’s earned his place as one of the most influential and controversial figures in the genre. Completing his service with the Navy, Trane returned to Philly in 1963: a time when other jazz powerhouses were taking the genre in exciting new directions. Working with Thelonius Monk and enjoying an early rival/collaborator relationship with Miles Davis, inspiration was everywhere. 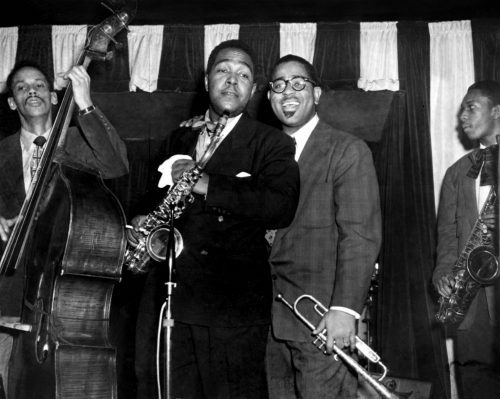 But it was Charlie Parker he’d always remember; the day he’d heard the Bird play for the first time: “It just hit me right between the eyes.”. 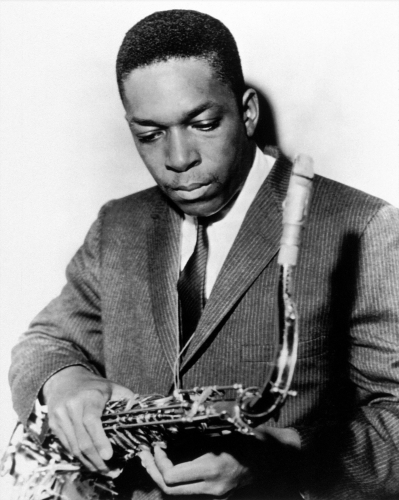 Working on innovations in both technique and philosophy, Coltrane revealed untapped creative possibilities in what the saxophone could do. Switching chord progressions and melodies on the fly, he spearheaded a freeform improvisational kind of sound — ‘free jazz’. The Coltrane Change is still used today; a signature form of harmonic chord progression Coltrane invented. His contributions to jazz form ensure he’s one of the names you’d hear whispered in smoky jazz clubs in Philly and beyond. Sadly, as so often happens with genius, Coltrane died young — liver cancer claiming him after his 40th birthday. Collected are some pictures of a man who achieved more in his short life than many musicians to live twice as long — one of immeasurable importance to modern jazz.